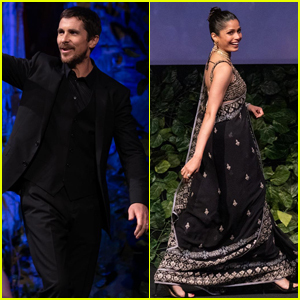 Christian Bale is all smiles as he and wife Sibi step out for the premiere of Mowgli: Legend of the Jungle on Wednesday night (November 27) at the ArcLight in Hollywood, Calif. 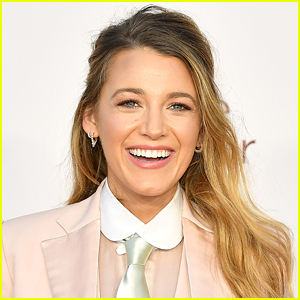 The 44-year-old Oscar-winning actor was also joined at the event by his co-stars Rohan Chand and Andy Serkis who was joined by wife Lorraine Ashbourne. In the movie, Mowgli (Chand) has never truly belonged in either the wilds of the jungle or the civilized world of man. Now he must navigate the inherent dangers of each on a journey to discover where he truly belongs. 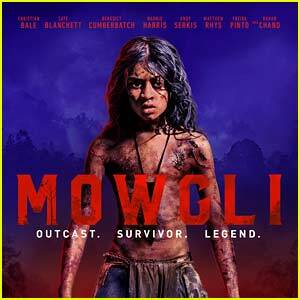 Mowgli: Legend of the Jungle will be released in an exclusive limited theatrical engagement beginning on November 29, and launching globally on the streaming service on December 7. FYI: Christian and Sibi are wearing rag & bone. Christian Bale and Freida Pinto are celebrating their new movie! 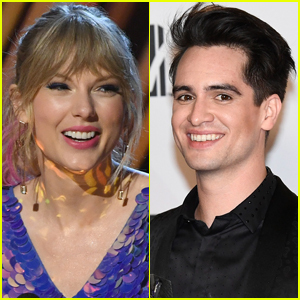 The co-stars were in attendance at the Mowgli: Legend of the Jungle premiere on Sunday (November 25) in Mumbai, India. This was also India’s first-ever world premiere for a major Hollywood release! Director and actor Andy Serkis also walked the red carpet, as well as castmates Rohan Chand and Louis Ashbourne Serkis. Anil Kapoor, Abhishek Bachchan, Madhuri Dixit Nene and Kareena Kapoor Khan, who bring the characters to life in Hindi, also joined their international castmates at the premiere. Screenings will also take place in London and Los Angeles before launching globally on Netflix on December 7. FYI: Freida is wearing an Anita Dongre saree. There’s a new Jungle Book movie coming titled Mowgli, and by the looks of the debut trailer and the amazing cast, it’s going to be really great. Here’s a synopsis: Blending live action and performance capture, the story follows the upbringing of the human child Mowgli (Rohan Chand) raised by a wolf pack in the jungles of India. As he learns the often-harsh rules of the jungle, under the tutelage of a bear named Baloo (Andy Serkis) and a panther named Bagheera (Christian Bale), Mowgli becomes accepted by the animals of the jungle as one of their own. All but one: the fearsome tiger Shere Khan. (Benedict Cumberbatch). But there may be greater dangers lurking in the jungle, as Mowgli comes face to face with his human origins. 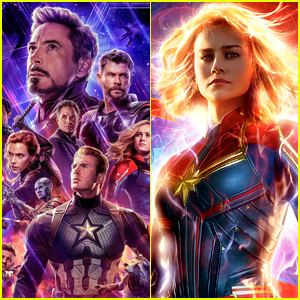 The other story’s central animal characters are: Kaa, the snake (Cate Blanchett); the leader of the wolf pack, Akela (Peter Mullan); the scavenging hyena, Tabaqui (Tom Hollander); Nisha, the female wolf (Naomie Harris), who adopts the baby Mowgli as one of her cubs; Nisha’s mate, Vihaan (Eddie Marsan); and Mowgli’s Brother Wolf (Jack Reynor). Matthew Rhys and Freida Pinto also star. The film will hit theaters on October 19. 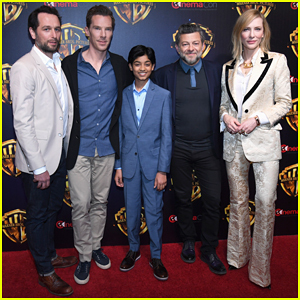 Benedict Cumberbatch, Andy Serkis & Cate Blanchett Tease 'Darker Retelling' of 'Mowgli' at CinemaCon 2018! 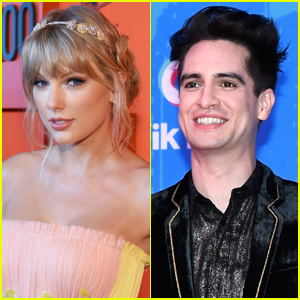 Matthew Rhys, Benedict Cumberbatch, Rohan Chand, Andy Serkis and Cate Blanchett hit the red carpet together at 2018 CinemaCon: Warner Bros. Pictures Invites You to The Big Picture, an Exclusive Presentation of our Upcoming Slate at The Colosseum at Caesars Palace on Tuesday (April 24) in Las Vegas. 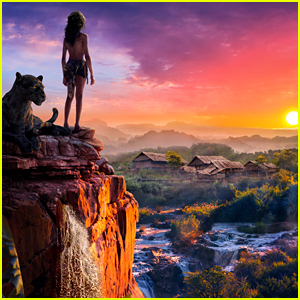 Writer-director Andy, 54, introduced a first look at Warner Bros.’ Mowgli with two and a half minutes of material of the follow up to Disney’s 2016 box office smash The Jungle Book. Mowgli is set to open in theaters on October 19!